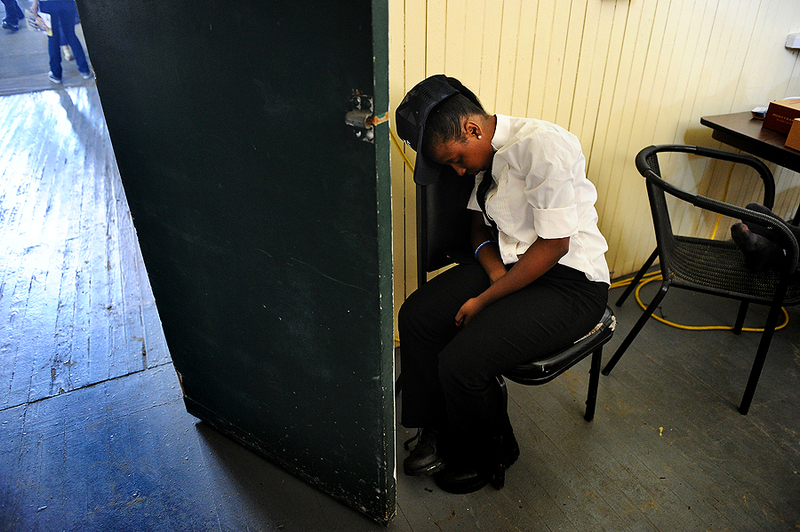 "A security guard sleeps in the media room prior to the 136th running of the Preakness Stakes at Pimlico Race Course on May 21, 2011 in Baltimore, Md." People often ask why I am so meticulous about locking up all my gear during sporting events. Obviously, I don't want to see my investments walking out on their own. While I am trusting of everyone in the media lounge, as we all should be of one another, there are those that can get into the media rooms with no questions asked. I think this picture clearly shows how easy it could be. I was walking out of media room and had to take a snap of this. At an overcrowded race track where literally anyone could walk into the media lounge, this scares me. Anyone, media or not, could simply walk right in and back out with my gear and I'd be dreaming to think it was protected unlocked. Protect your gear, folks. You're are responsible for it.